This eyelet detail bikini top features a beautiful textured fabric with a soft multicoloured fabric. Featuring removable foam cups for added comfort. 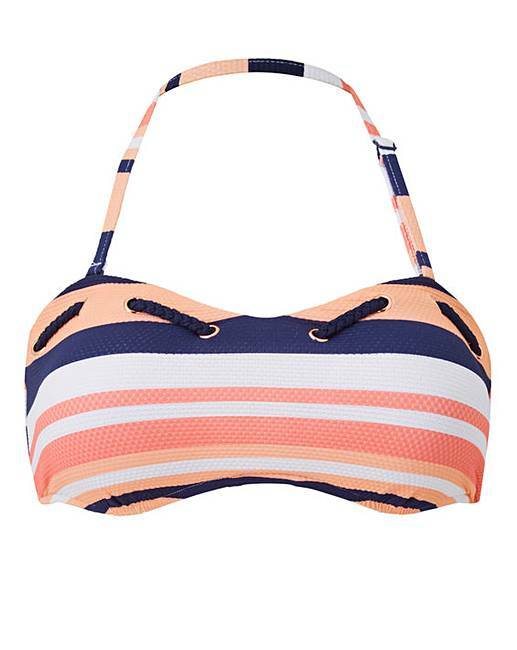 Complete with a removable strap and added eyelet detail, this bikini top is perfect to wear with the matching eyelet detail brief.